Patients who have difficulty managing their acne may want to consider BLU-U, a relatively new procedure in the advancement of skin care in South Florida. Light therapy has long been recognized at being effective in treating acne. A revolutionary new way of doing this is through the use of BLU-U therapy, which involves the use of blue lights rather than ultraviolet ones. This treatment method takes only a few minutes per session at our office. 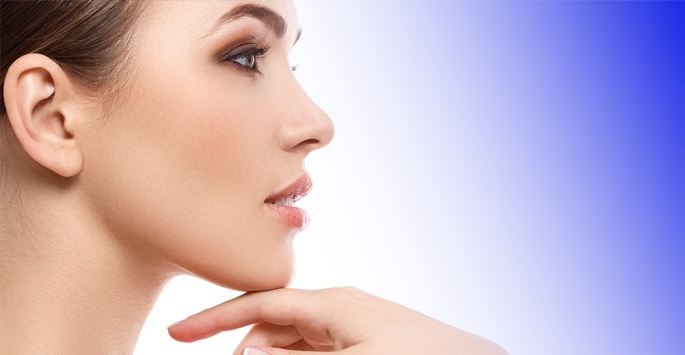 BLU-U is a type of photodynamic therapy that is used to treat skin disorders such as acne. It is primarily prescribed for acne vulgaris, which is the type of acne that occurs as a result of overactive oil glands. It involves applying a blue light to the affected area to reduce oil production and kill some of the bacteria that cause acne to form. Each treatment session involves two steps. First a topical solution known as levulan kerastick will be applied to the area that is to be treated. Next , patients will be seated in an examining room, where the blue-light device will be placed close to their skin and left in place for about 15 minutes. After that time, the patient’s skin will be washed, and he or she can return to school or work. How many treatment sessions are usually needed? Most patients will require five to seven sessions. Treatments may be given up to twice a week. Some improvement can be noticed after the first session. The appearance of the skin will continue to improve with each subsequent session. What conditions can be treated with BLU-U? Whiteheads, blackheads, and pimples can all be effectively treated with BLU-U. In addition, this light therapy can also be used to treat actinic keratosis, which are thick and crusty bumps that appear on skin that has been frequently exposed to the sun. Patients must wear protective eyewear while having treatment. After having the levulan kerastick applied, patients must avoid sun exposure for the next 48 hours, since this solution can make them extremely sensitive to light. Bright indoor light and tanning beds should also be avoided during this time. Levulan kerastick should not be applied to broken or damaged skin. What side effects are possible? Some people report mild swelling and redness after a treatment session. This normally lasts for only a few hours. Skin may also be especially dry for a day or so after having BLU-U. Patients may experience some tingling of the skin after having the levulan kerastick applied, especially if they are exposed to light. Who should not undergo BLU-U? Women who are pregnant or breastfeeding should forego this procedure. Those who are taking medications that make them sensitive to light should discuss this fact with Dr. Tomar beforehand. Patients who are undergoing another type of photodynamic therapy for cancer treatment may also need to wait until they have completed treatment for that disease. How much does BLU-U cost? The amount charged will depend upon each patient’s condition. Since this is a relatively new procedure, many insurance plans do not yet cover it. The staff at Supriya Aesthetic Dermatology will be happy to discuss payment options with each patient. Having clearer skin is a very real possibility with the use of BLU-U. Patients who have tried unsuccessfully to rid themselves of acne may want to consider trying this blue-light therapy to clear this condition. Skin rejuvenation treatments are considered to be elective, so most insurance providers won’t cover the costs. To help make BLU-U affordable and accessible for everyone, Supriya Aesthetic Dermatology offers financing options via CareCredit®. We also accept cash, personal checks, and major credit cards. Contact us today if you have any questions about the cost of BLU-U. Dr. Supriya Tomar welcomes patients in Jupiter, West Palm Beach, and Palm Beach County who would like to know more about BLU-U therapy. For more information, those in this area can contact the office at 561-805-9399.